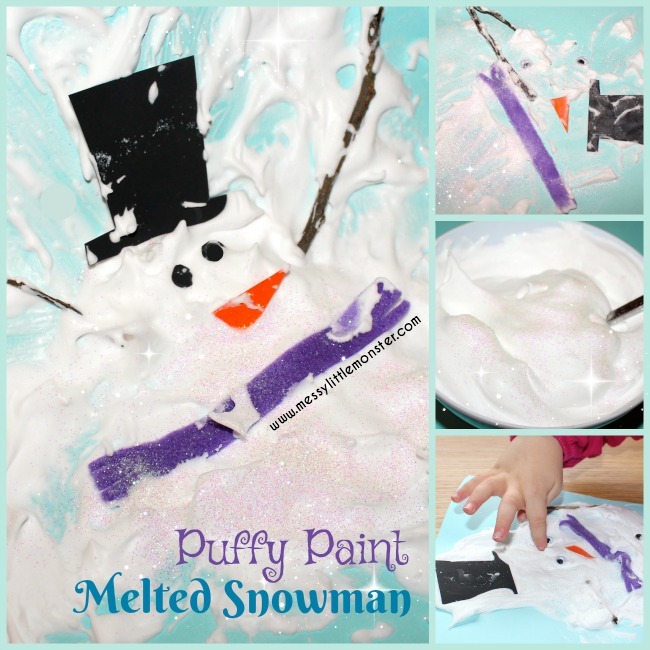 Making a puffy paint melted snowman is so much fun and perfect for the cold winter weather. 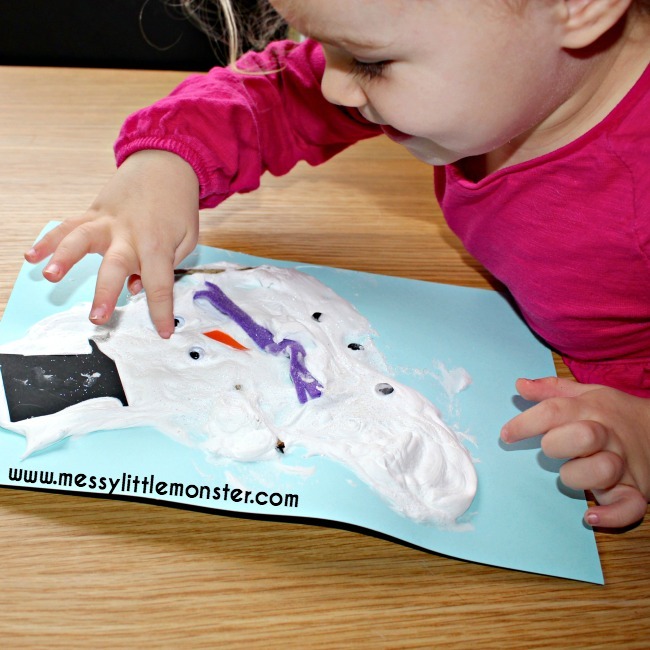 Kids will love the sensory experience of this simple snowman craft and it is easy enough for toddlers and preschoolers to enjoy as you really can't go wrong! 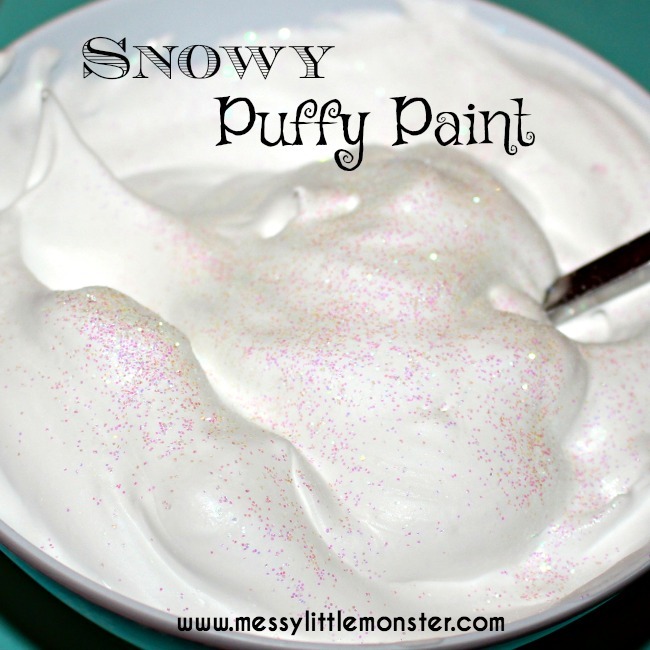 Using just two ingredient this puffy paint recipe looks just like snow and it keeps its shape once it has dried. 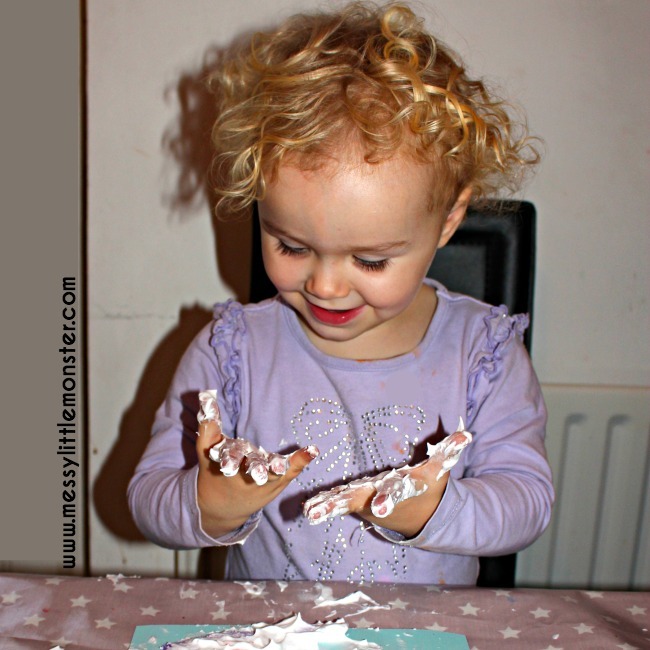 Are you looking for more Winter crafts and activities? 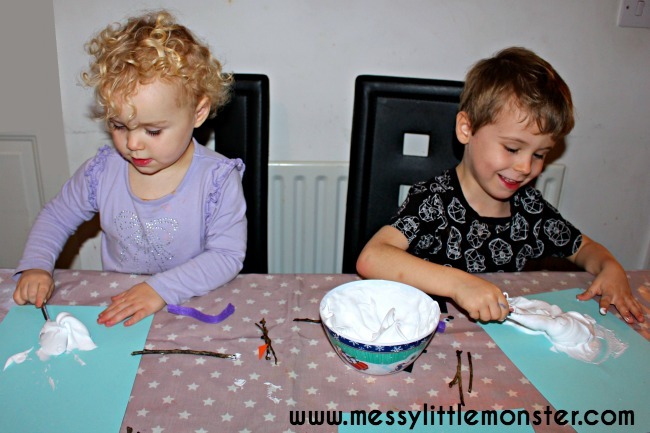 You might like our DIY snowman mug, wintery ice painting and our no mess paper plate snowflakes. We have a whole collection of snow art, craft and activities for you to take a look at, as well as a list of 20 Winter books. 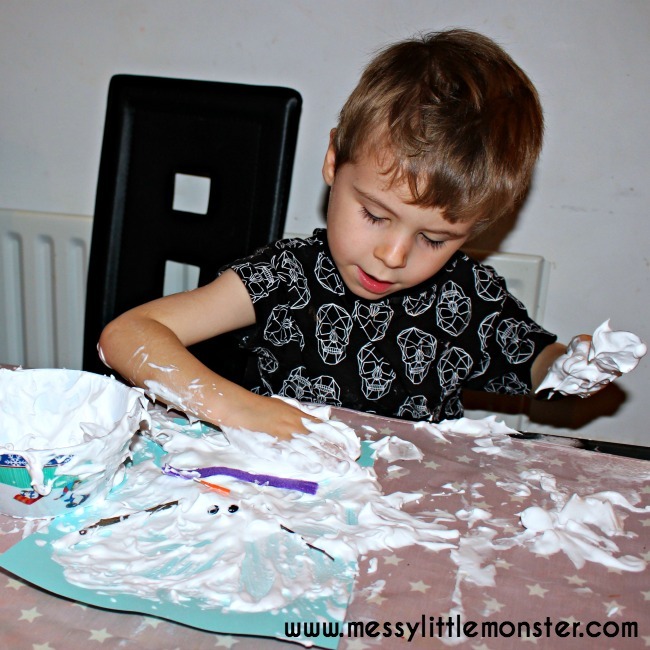 The snow puffy paint is made by simply mixing shaving foam with white glue. You will need roughly equal amounts of each, maybe slightly more shaving foam. You really don't need to be too exact with your measurements. We also added sparkles to our snow puffy paint and sprinkled it on top of our melted snowmen for extra sparkle! Cut out hats, buttons and carrot noses from card and scarves from felt scraps. Collect some small twigs to use as arms. 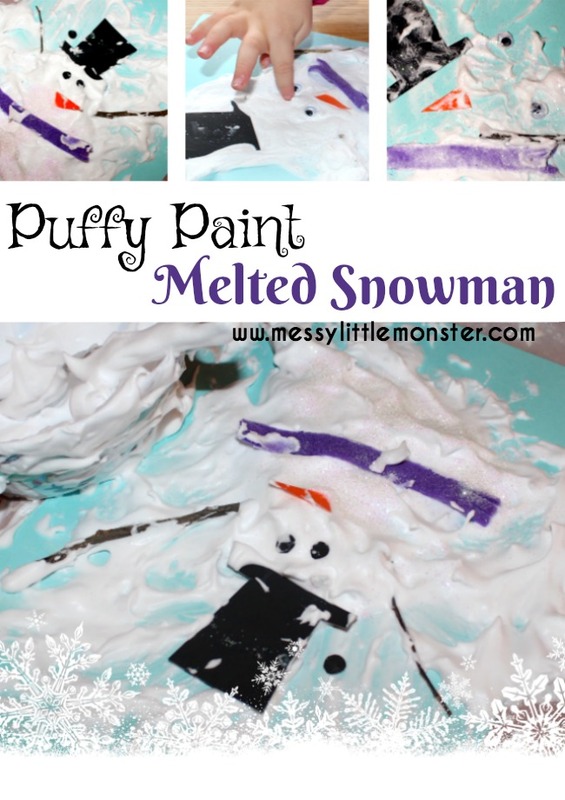 Mix up the snow puffy paint and spoon it onto blue card to make your melted snowman shape. Add googly eyes, a nose, hat, twigs, buttons and a scarf. 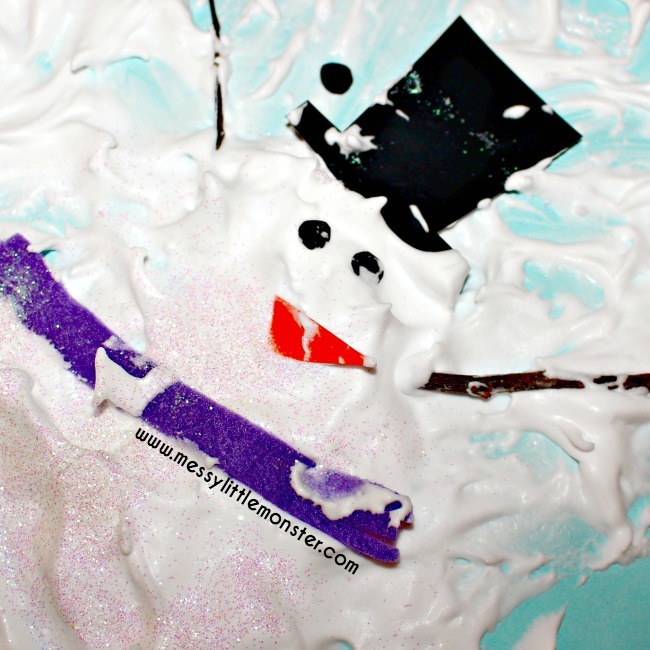 Add an extra sprinkle of sparkles over your melted snowman. Harry and Daisy quickly realised that it was much more fun to use their hands rather than a spoon to make their snowmen. 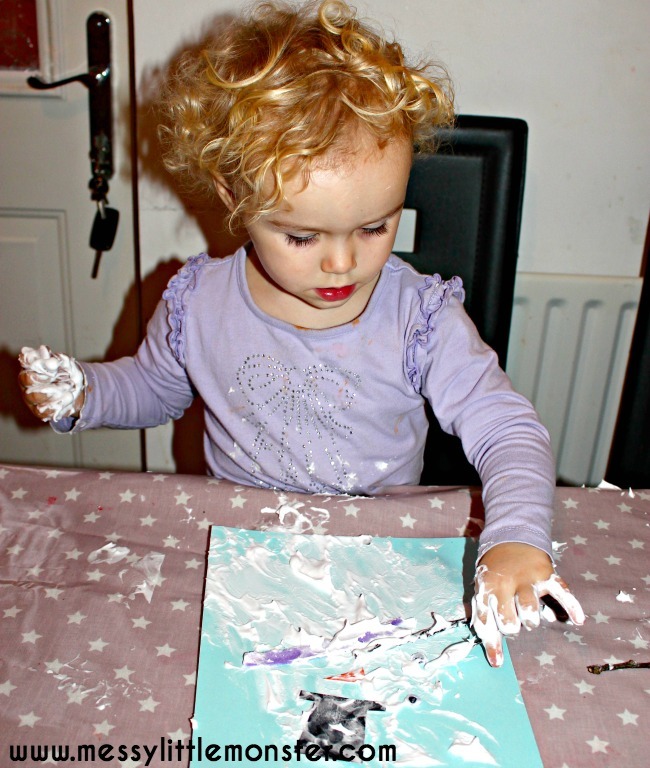 They loved getting messy and the feel of the snowy paint. We made quite a few puffy painted melted snowmen, each one unique! Once dry the puffy paint keeps it's shape. 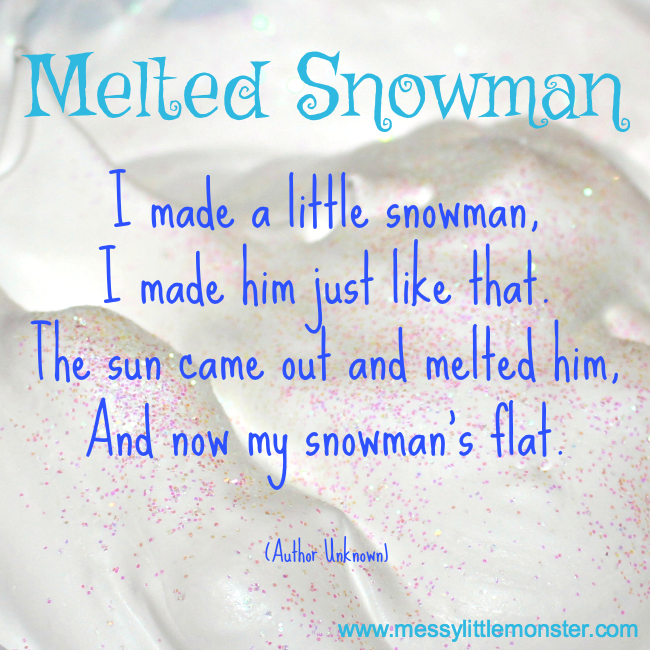 Here is a cute little poem to read as you make your melted snowmen. Click here for a printable version of this melted snowman poem and a writing frame to encourage children to think about why a snowman would melt. 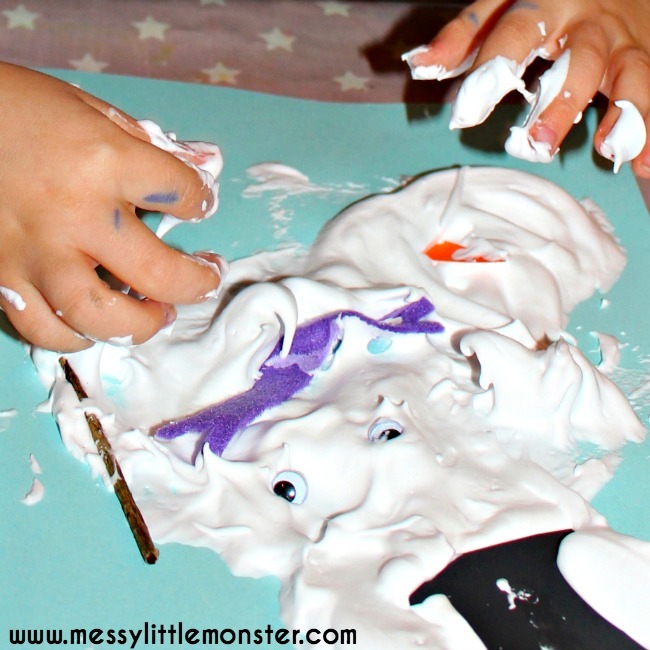 If this activity is a little messy for you take a look at the melted snowman family created by Learning and Exploring through Play. The weekly 'Virtual book club for kids' begins this year with 'The Snowy Day' by Ezra Keats. We thought melted snowmen fitted this wintery theme perfectly. For more fun ideas click on the links below. Adorable! It looks like lot of fun. This is always so fun to do with little ones. I love the real stick arms!